SAN LUIS OBISPO – The Cal Poly Floral Design Team ranked third in the nation at the American Institute of Floral Designer’s (AIFD) 2018 Student Floral Design Competition held in Washington, D.C.
Alyssa Snow, a junior majoring in agricultural science from Galt, California, placed first in the wedding bouquet category and fourth place in the fashion flower category. She placed third overall in the competition. Allana Childs, who graduated in June with a degree in agricultural and environmental sciences, took third in the interpretive design category and eighth place for her wedding bouquet. Snow was also awarded a scholarship during the awards ceremony for her school fees for the 2018-19 school year from the AIFD Foundation Scholarship Committee. Cal Poly competed against teams from nine other colleges, including the University of Missouri Columbia, Texas A&M, Mississippi State and Ohio State. 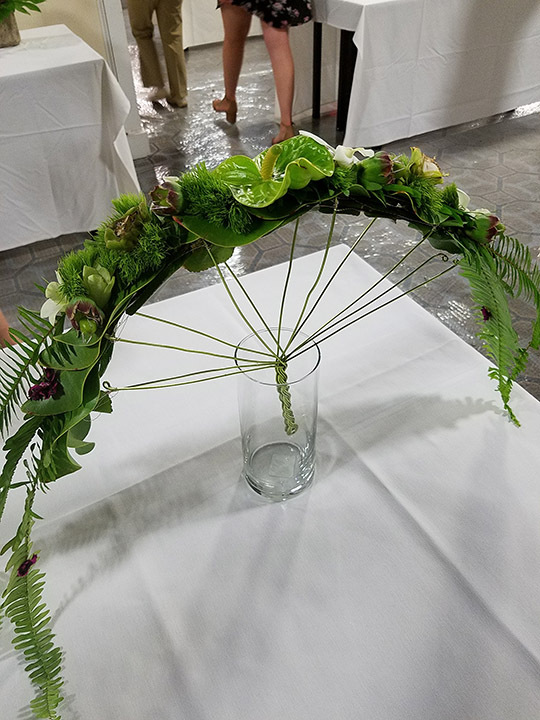 Students prepared floral displays for four separate categories: sympathy (a design suitable for a man who was a gardener by trade); wedding; interpretive design; and fashion flowers (a cuff design suitable for a runway fashion show to model). The team was led by Cal Poly Lecturer Melinda Lynch. 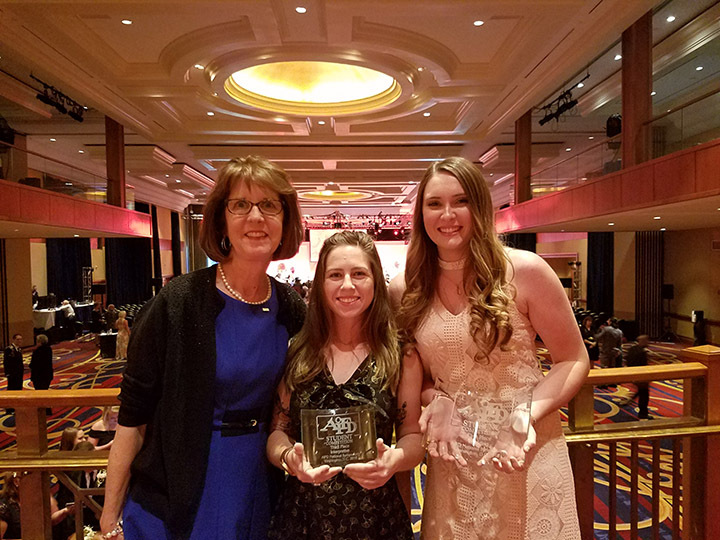 In addition, Lynch said she was thrilled to learn that alumna Dawn Mones, who placed first overall in the 2017 student competition, passed her written and hands-on test and will be inducted as a member into the American Institute of Floral Designers in 2019. It is the highest floral design certification in the United States, said Lynch.